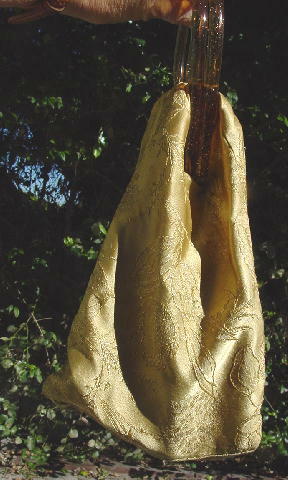 This custom-made gold-tone fabric evening handbag has a flower and leaf design outlined with gold-tone metallic thread. 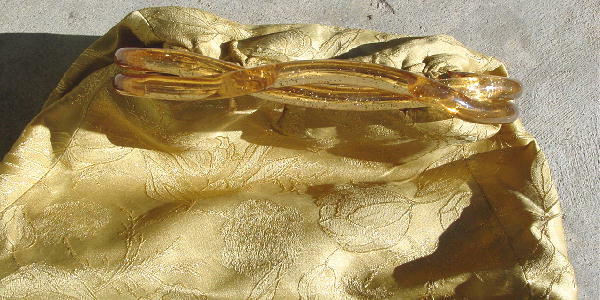 It has interesting somewhat see-through golden-amber hard plastic handles and sides with gold-tone glitter within the handles. One handle is shorter than the other handle and the taller one curves inward in the center which allows it to "snap" in place over the shorter one and therefore close the purse. 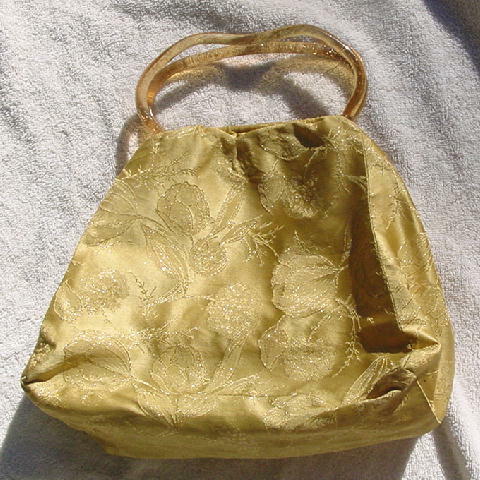 It has a golden-honey fabric lining and interior zippered pocket. 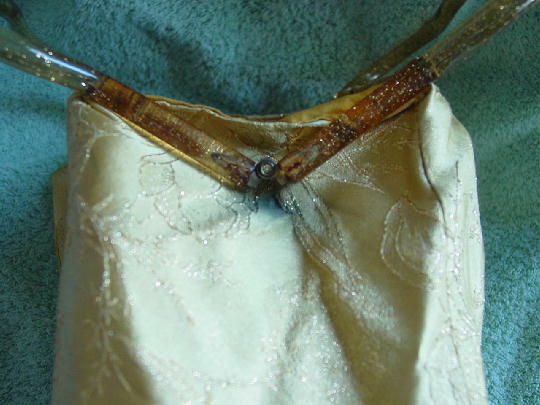 The fabric behind the side metal hinges (both sides) is black from oxidation. The sides and bottom have flexible supports between the lining and outer fabric. 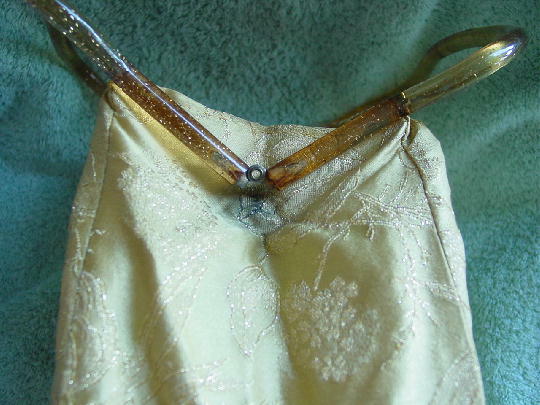 The bottom corners have a little soiling, but it's hard to see when the purse is carried or set down. 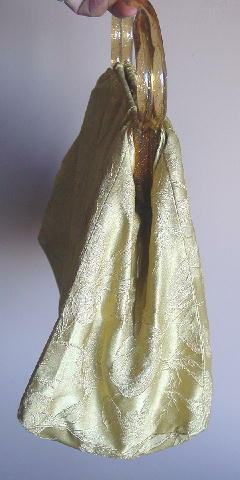 The metallic thread sparkles more in person. bottom of handle to top of purse 3"